Have you ever found yourself wondering about finding more convenient ways to do something? Technology has come a long way since the Industrial Revolution and the advent of the Digital Age has exponentially grown the knowledge of humans today. We have many things now that make our lives more convenient, and in the case of healthcare, our drugs and medications are able to treat our conditions like never before. What’s more, there are easier ways to get medications. Online pharmacies are providing a way for people around the world to gain access to drugs. However, is it safe? Being on the internet for an appropriate length of time can lead you to discover things that you never knew. It helps people expand knowledge and search for different means of achieving things. The internet, in recent decades, has sparked an almost uncountable number of online pharmacies. These online websites are exactly what it says on the tin: They are pharmacies you can find online from where you can purchase actual medications. These sites are often quite enticing because they will even deliver to your address, and all you have to do is wait in the comfort of your home to receive them. You can also expect that independent online pharmacies will have lower prices for meds, which makes for a good way to save on meds. However, there is a risk that is specific to many of online stores today, but most especially online pharmacies. Research and studies have come up and found that across the world, more than 90% of websites selling medications or claiming to do so are not actually legalized to do so or do not have the qualifications to do so legitimately. This has ultimately lead to many people online sharing experiences where they’ve put their trust into a website, only to find out they had been scammed into buying a fake or defective product. This is why it is important that you find pharmacies that you can trust. As many people know, the FDA is the regulatory board found in the US which monitors the safety of food and drugs and helps determine which are appropriate for intake by the public to avoid harm. The FDA has made many articles informing the people of the risks of online purchases and arguments against fake online pharmacies. They have warned that it can be easy for people to manipulate information online or have a website appear to be approved by a verified organization. The website allows you to acquire prescription pills without your doctor’s valid form or will allow you to buy OTC as long as you pay. Legitimate pharmacies will always ask for your prescription form. Foreign websites cannot be monitored accurately since there are several popping up every day, and these will often entice you with prices that are too good to be true, so if the price is too low, you should be skeptical. They do not have a physical location found inside the US, nor can they provide an immediate phone or contact number to reach a service provider. If you do not know where these drugs are coming from, then don’t take them. 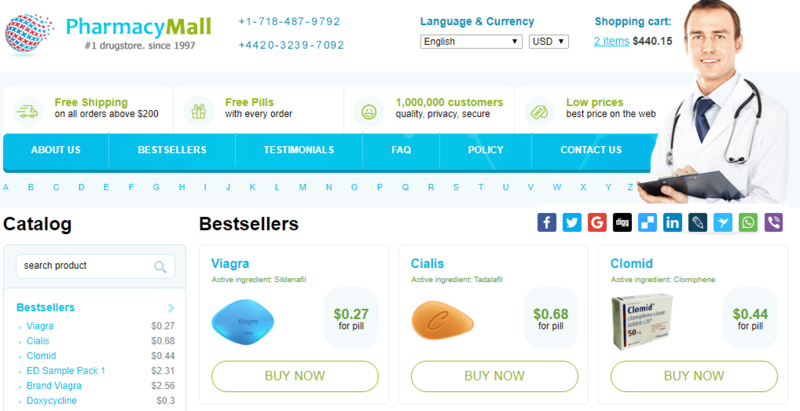 There isn’t an international list of online pharmacies that you could just consult to find the best ones in the world. When you think of the best, would it be more on the side of their service, or would you be more concerned with how trustworthy the site can be? There are plenty of websites and forums that will give you’re their ideas of which vendors to patronize, but so far, none have really gotten a definitive answer. The closest you can get to find the best ones is to consult websites displaying only verified pharmacies like Pharmacy Checker. When you’re looking for a drug on this site, you’re actually sifting through many different approved websites that have proven themselves to have the right credentials to operate properly. Another resource that many concerned customers can use would be to go to the ASOP website. Unlike the FDA and Pharmacy Checker, which are US-based and Canadian-based respectively, ASOP is a global effort by many countries that is directed towards protecting the rights and interests of medications buyers. They try to raise the public’s awareness of dangers that come from rogue internet pharmacies and even give you the option to search for safe pharmacies depending on the country you come from. They also have plenty of research and news stories that will help shed new light on these matters. Safety and security are some of the first things people need to be assured of when they are engaging with a business. Unfortunately, the case isn’t so simple when you are dealing with an online pharmacy. While there are quite a few out there that are operating legally, there are yet more that are tricking their consumers into buying fake or counterfeit products by claiming to be a legitimate store and drastically lowering the prices of their goods. In order to protect yourself from such scams, there are several organizations that will give you the information to make a wise choice as to the online pharmacies you will want to engage with. The FDA and other non-profit organizations have a checklist that helps you determine the approved from the fake websites, and others sites also have lists of websites that have already passed screening tests. If you want to have an immediate reference as to what you should be looking for, how about checking out our top-listed pharmacy recommendations here?